Fire. It burns by the one which is brighter than the sun. Nothing can calm its desire to love; a love that is so hot that it requires everything. Humans were made to burn…be ignited into passion itself. For by fire the Creator had made the spirits of our souls to be intimate with him. And there are some who are not human but burn as a presentation of God’s holy love and purity. 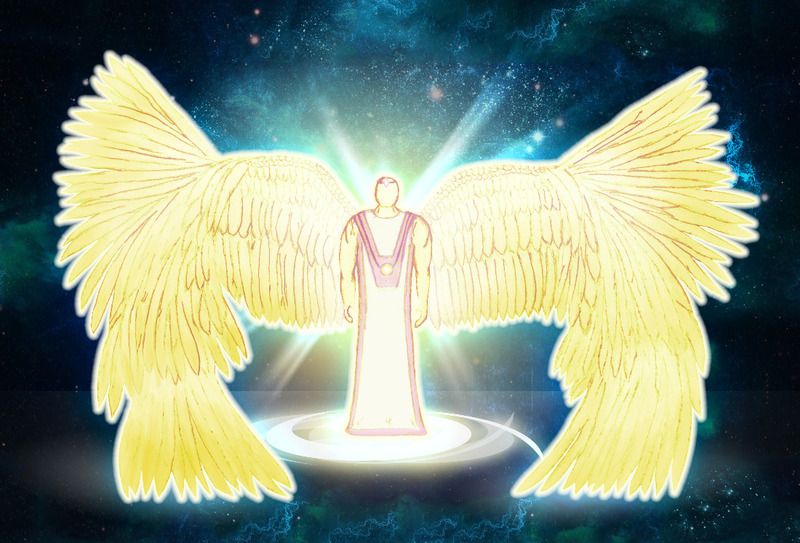 These beings are called Seraphim. I have walked by fire–the realm of fire. Hot, beautiful, magical, and consuming. I stood before the Almighty God as pillars of dazzling storm clouds covered Him while the fire rolled forth from His mouth like a whirlwind. The very ground was hot like a sea of multi-colored flames splashing upon the lofty throne of God. 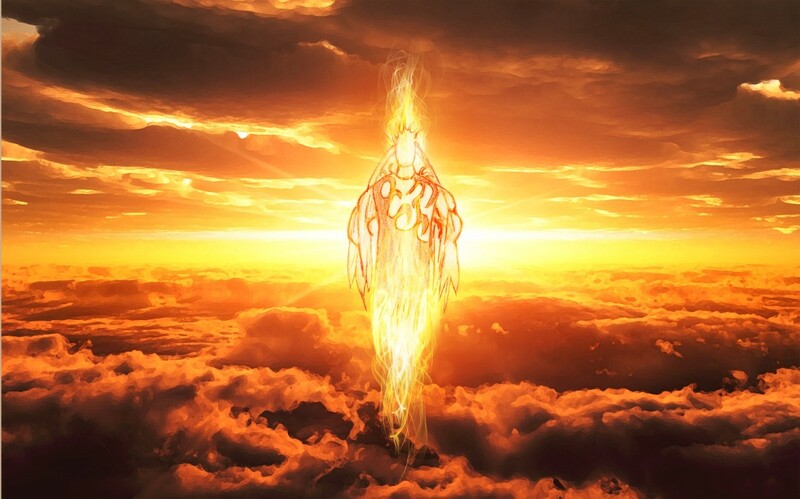 Yes, God is high and lifted up, and the sky burned as it was carved around His head. 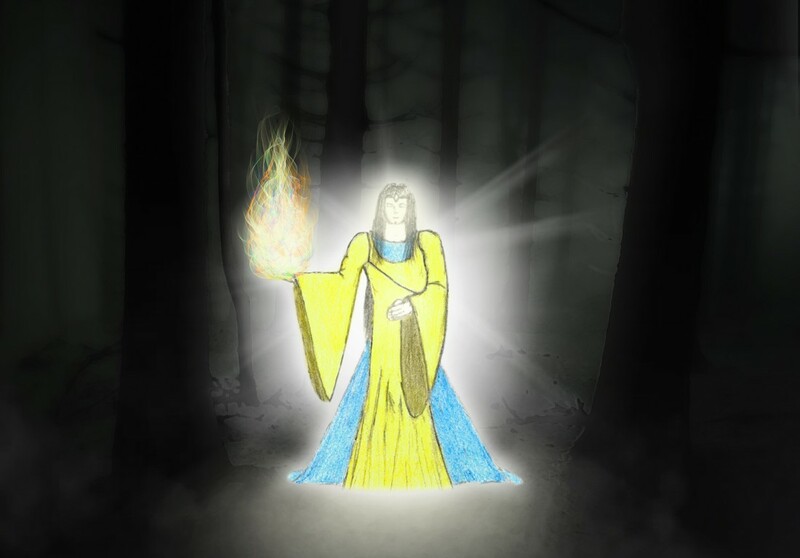 His robe was lighting and filled with the presence of mighty of angelic beings. “Holy,” A mighty voice proclaimed, “Holy is the Lord Almighty” Voices thundered out of the storm cloud of fire surrounding God, “Holy is the Lord God Almighty!” More and more voices joined in, and they became like a sunlight of worship that shown across heaven. My eyes began to burn as the God of heaven reached down and picked me up to look Him right in His face. I was standing in the palm of His hand–large hands burning like a torch, but peaceful like a cooling river. My Father smiled at me and said, “My fire in you has called forth love.” Everything was so bright that it was overwhelming and my love for Him burned in my chest. My father moved His left hand and descending from above the burning sky were beautiful Seraphim. 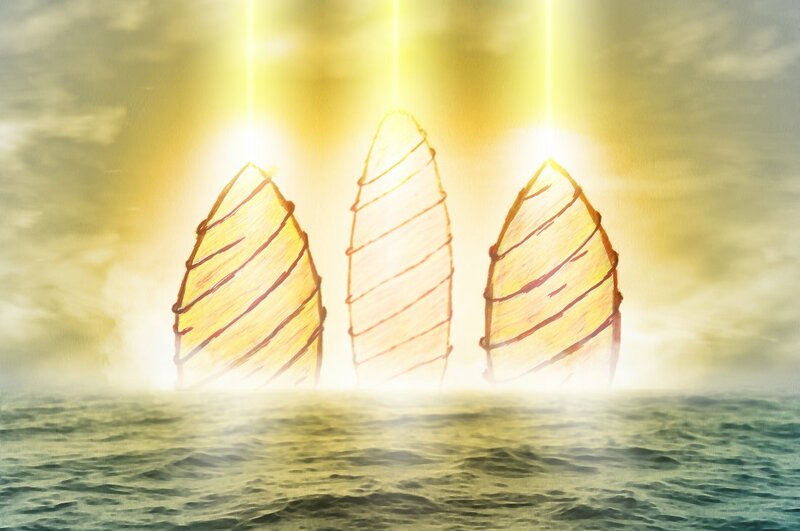 Each was given six wings–glorious wings made of pure light! The top of their heads burned with blue fire! Two wings covered their faces, two covered their feet and with two they flew. Coming out from their wings were hands made of bronze! They were fire but bright like sunlight in mid-afternoon…they glowed with starlight like gold…fire! I heard music flow from them that I have never heard before. Their eyes were gazing upon God, and when their great wings opened, lighting from their bodies created a dome of worship around us! I, in the palm of God’s hand, observed this unusual scene; overwhelmed by His beauty. Each seraph declared Holy, and there was a shaking, but not only here in heaven, but also on earth. 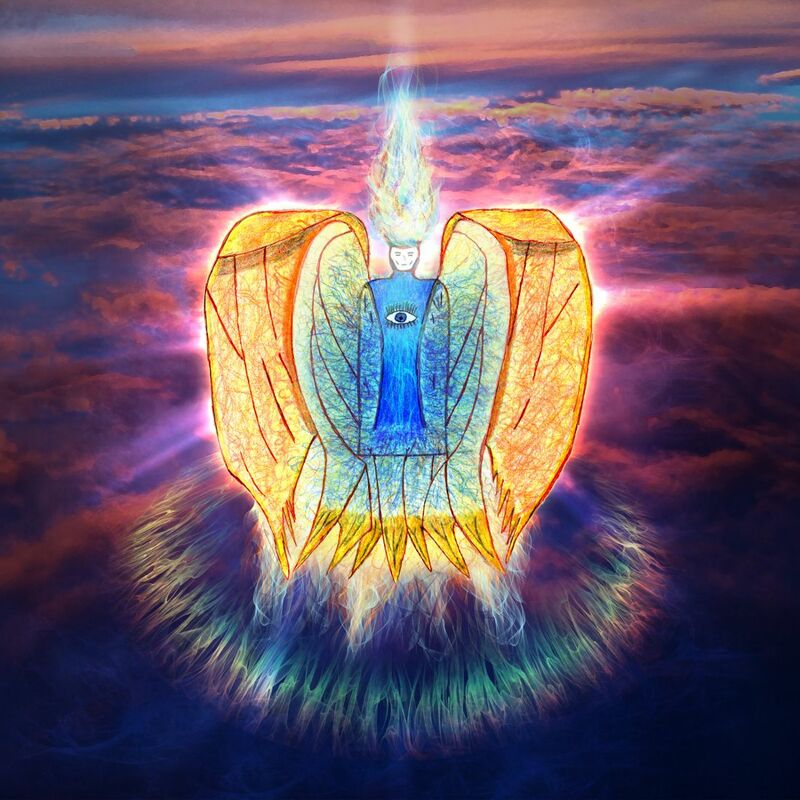 “Holy, Holy, Holy is the Lord Almighty,” The Seraphim shouted, “The whole earth is full of His glory!” Then two of the Seraphs hovered on my right and left saying, “Take our hands now.” Their wings opened, and I held each one, “Let us burn together. Heaven and earth coming together in the passion of love for our Lord and His Holy Son, Jesus! By the power of the Holy Spirit, we will burn together so that His glory will fill the earth.” Their voices were many but so beautiful! The electric dome of worship covered me, and in a flash, I was back in my room with two of my new friends; the seraphs! I do not know their names, but they remain with me to remind me of the passion of God; the love of God that burns inside me and around me. Sometimes when I pray, I can feel them touching my shoulders, and sometimes I see them unexpectedly hovering around me! Bless God, my Heavenly Father for such an incredible opportunity to burn like He does. 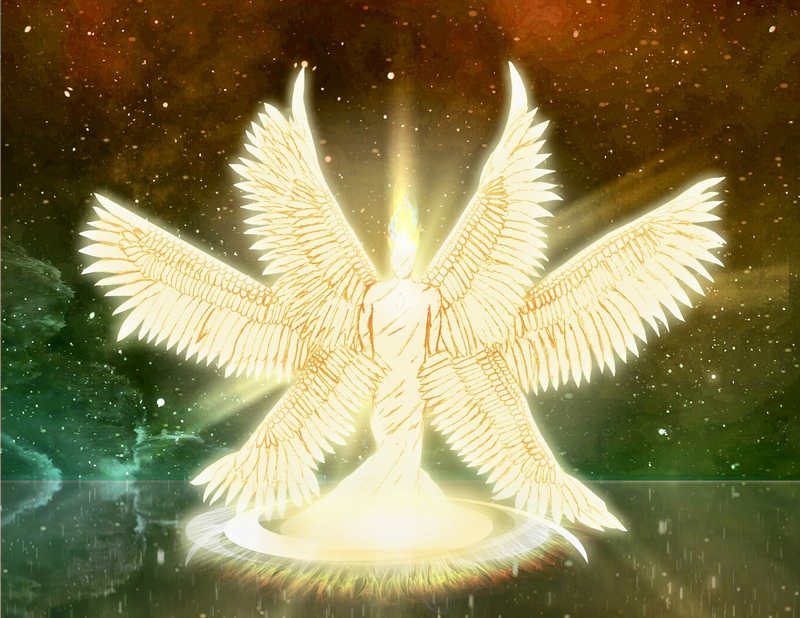 Bless you, Father for creating the seraphim–heaven an earth burning with Love for our Creator.